Most people who participate in Vocational Eduation and Training are seeking a style of study which is more practically oriented and strongly connected with Industry. People participate in VET programs as a way to gain entry to University if they have been out of the education system for awhile or did not complete school to year 12 level, to learn technical skills or to advance their career and expand their learning. VET courses are skill-based and competency tested and allow students to repeat the lessons and examinations (in some cases) until they are deemed competent. Australian Industry and other Registered Training Providers (RTOs) design the course curriculum and Australia offers a range of publicly funded institutions such as TAFE. There are other private RTOs, but some of the qualifications offered through these institutions are not as well recognised by employers or international bodies. Be cautious about course content and thoroughly research the credibility of the institution you are seeking to enrol with and how well the qualification is recognised within Australia and overseas. Many universities have partnerships with TAFE Australia Australian Colleges or other RTOs to gain credit toward Bachelor Degrees or other Higher Education qualifications which can reduce the amount of study time. It is best to contact your university to investigate if this option is available in your particular circumstance. Some general explanations of the different VET levels are outlined below as a rough guide, but depending on the specific course and institution you are seeking to participate in expectations may vary. International students seeking a traineeship or apprenticeship will need to be mindful of the type of work / study visa they are obtaining prior to entering Australia and some courses may only be available to Australian citizens or international migrants seeking permanent residency and/or Australian citizenship. This certificate trains you in basic skills and tasks which are performed routinely and under direct supervision in the workplace. At this level you will gain operational knowledge and develop skills for solving a range of straightforward work-based problems with supervision. This certificate enables you to gain additional theoretical knowledge and develop greater skills for solving a range of problems using discretion and judgement, with a limited amount of supervision. This level develops a broad knowledge base and you learn to analyse and evaluate information while applying your knowledge and skills to a wide variety of workplace contexts. You also begin to take limited responsibility for other staff (if applicable to the certificate you are completing). A diploma gives you broad theoretical knowledge and/or substantial technical or creative skills. Analysis, judgement and planning are involved across a wide range of technical and/or management situations. This qualification enables you to apply complex techniques in a wide range of situations. You will gain an understanding of specialist knowledge and will be able to make judgements, analyse information and be accountable for personal and group outcomes. Graduates are expected to work autonomously in complex technical operations and take some responsibility for achieving group outcomes. You will gain skills and knowledge for a para professional career or a management role. These certificates and diplomas are offered to students who have completed a degree or have the equivalent of a degree through experience and other qualifications. These qualifications broaden your existing skills or develop vocational knowledge and skills in a new professional area. A traineeship involves a an employee (the trainee) and an employer signing a contract to work together so that the trainee can learn the skills of the occupation they have chosen. The Department of Employment and Training (DET) administers an employment based training scheme which is approved under the Vocational Education, Training and Employment Act 2000 in Australia. Traineeships can be studied full or part time and students can start a traineeship while still at high school. The duration of a traineeship depends on the industry, the occupation or trade and any previous training the trainee may have had. Completion can be brought forward in some cases, and by mutual agreement between employer, employee and training provider depending on and how quickly he or she learns the skill of the traineeship. Apprenticeships involve a period of technical off-the-job and on-the-job training for each particular trade or occupation. They are usually of fixed length and the apprentice is normally registered with one employer. An apprentice is bound by legal agreement to work for an employer for a specific amount of time in return for instruction in a trade, art, or business. Electrical, plumbing and building trades all typically train new entrants to the industry in this style. Australian apprenticeships are offered under an employment based training scheme that adhere to the Vocational Education, Training and Employment Act 2000. Australian TAFE’s typically provide courses in practical and service orientated industries, such as hospitality, tourism and the trades. With the nation currently experiencing a skills shortage, apprentices and trainees are in high demand. If you are planning to undertake an apprenticeship in Australia, your chances of finding a job once you have finished will increase significantly. The link between TAFE study and undertaking an apprenticeship or traineeship can be a little blurry. In some industries, you may be required to fulfil academic requirements (such as obtaining a Certificate or Diploma) before you are hired. On the other hand, if you do become an apprentice, you will be required to complete several blocks of TAFE. If you are struggling to find an apprenticeship, completing a TAFE course in a related field will certainly help. Vocational training in Australia typically involved post secondary study (although many schools are beginning to adopt the ‘school based trainee’ system) with a heavy focus on practical experience. You will usually be taught by an industry professional, as opposed to an academic teacher, which means you will be receiving real life experience. In all industries, a contract must be signed between employer and employee explaining the conditions and requirements of the job. A first year apprentices wage is typically low, but increases each year – and, of course, a qualified tradesperson can earn a sizeable wage. Australia's national Vocational Education Training System (VET) is tailored to meet the needs of industry. The courses offered are industry focussed and designed to meet the needs of employers. The courses offered are nationally accredited and of a generally high standard. The Commonwealth government has identified VET as a priortiy in education, especially secondary education for students who are not suited to mainstream learning and who wish to acquire practical skills and enter the workforce with full confidence. From 1 July, the responsibilities of the Australian National Training Authority (ANTA) became vested in the Department of Education, Science & Training (DEST). Australia’s Vocational Education and Training (VET) institutions provide students with a unique opportunity to attain skills in actual work environments, both real and simulated. VET courses are created by industry and government bodies, which work together to create and develop nationally accredited training courses with predetermined outcomes. These programmes are presented to students through Technical and Further Education (TAFE) Institutes, private colleges and some schools and universities. VET Institutes heavily emphasise the importance of practical work. While they students are provided with a theoretical framework, they also receive real life training in their chosen area of study. By developing skills and knowledge within this context, students find they are more easily able to transfer their teachings into real world situations. The practical expertise gained at these institutes gives graduates a distinct advantage in the work place. These qualifications are often just the beginning, with many students choosing to build upon their knowledge or use their qualification for university placement. Depending on the degree, your VET certificate may be credited towards a university degree. 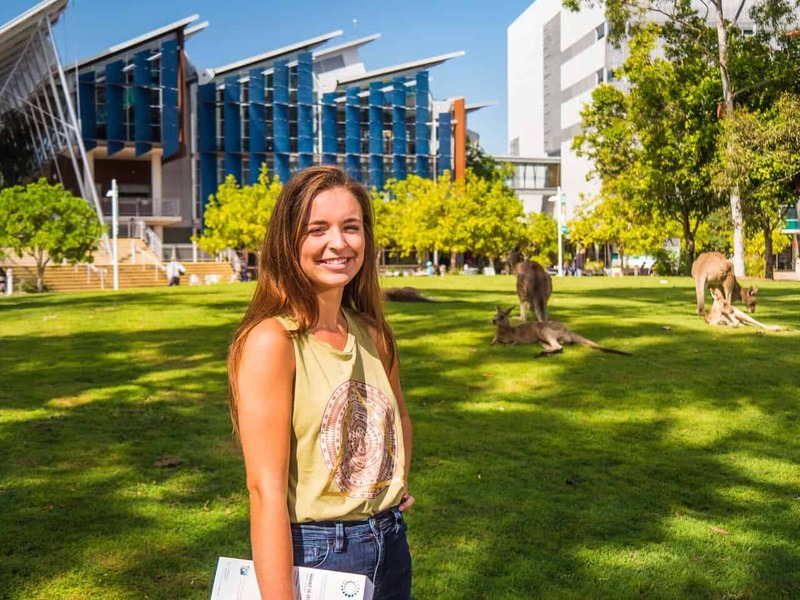 Not only will you leave Australia with two internationally recognised degrees, you’ll also be able to demonstrate practical knowledge, giving you an advantage over other university graduates. VET Training courses provide graduates with an Australian Qualifications Framework degree (usually at Certificate or Diploma level) that is recognised worldwide. Disciplines offered at these institutes include business and management, science and technology, design and arts, communications, sport and recreation, community service and health, tourism and hospitality, engineering and building, horticulture and land management, and English. VET training courses are available throughout Australia. They are subject to frequent and rigorous quality checks. To find out more about how the Australian Government ensures you receive the world class education you deserve, visit the quality assurance page of their website.